As new modern movies of all genres hit the theaters, people often forget the importance of classic movies. I recently revisited the fictional world of L.M. Montgomery that takes place in Avonlea. Director Kevin Sullivan brings the classic novel to life in Anne of Green Gables, the movie. 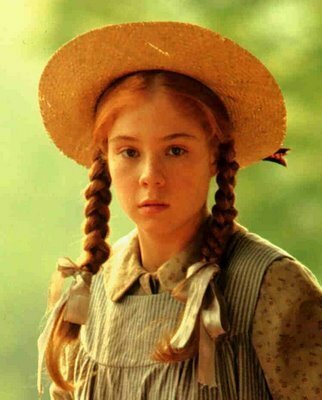 This film follows the adventures of Anne (Megan Follows), a redheaded young girl who is orphaned at a very young age. By mistake, she is sent to live with spinster Marilla Cuthbert (Colleen Dewhurst) and her brother, Matthew Cuthbert (Richard Farnsworth). Instead of receiving a quiet boy, they take in a talkative, imaginative girl who has her own adventures growing up in Avonlea. What I admire most is Anne’s outstanding and unique character. Both the movie and book portray her as a very imaginative child. If I were such an optimistic girl with such an imagination, I would be perfectly happy. Diana Barry (Schuyler Grant) is Anne’s bosom friend. She and Anne are like two peas in a pod, both of them letting their imagination run wild. SPOILER: Why, Anne was so indignant she picked up Gilbert’s slate and smashed it over his head! Anne felt that she should never forgive Gilbert. Even when Gilbert apologized to Anne at the end of class, the girl acted like Gilbert didn’t exist. 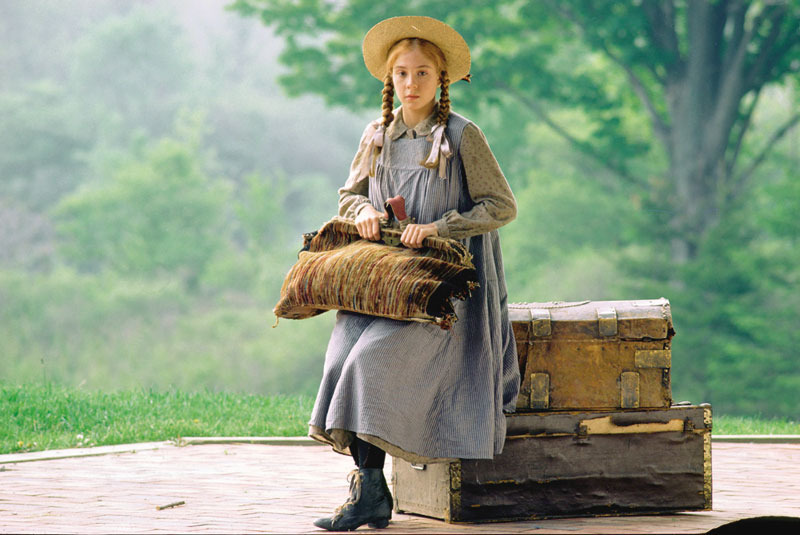 This incident also shows that Anne is an obstinate, or stubborn, as Marilla called her, and sensitive girl. This classic movie is about 3 hours long, and young children may have a hard time sitting throughout the whole film. Anne of Green Gables is more suitable for tweens, teens, and adults, who will definitely enjoy this elegant, graceful work of art. Posted on June 28, 2011, in Movie Reviews and tagged Anne of Green Gables, Anne Shirley, Diana Barry, Gilibert Blythe, Marrilla and Matthew Cuthbert. Bookmark the permalink. Leave a comment.